C. Reinhardt, parent company to NORDEN, has more than 90 years of experience in the design and development of two-wheeled transportation, and is responsible for the bike brands NORDEN, CULTIMA, RAAM, and E-FLY. 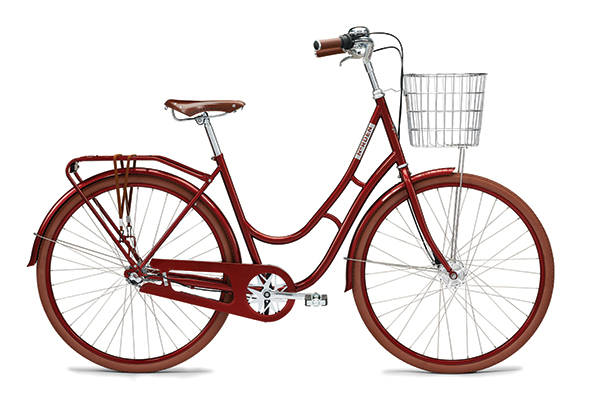 The Danish company recently won a 2016 Red Dot Award for its NORDEN bicycle. The Red Dot Design Award is an international competition, awarding the most distinguished and inventive designs. At NORDEN, they believe that you tell a story about yourself with the bike that you choose. As they phrase it, “Everyone comes with a story.” The materials that went into the NORDEN bike were carefully considered for their functionality, historic significance, and contemporary relevance. Their bikes unite quality, fine design, and authenticity to tell the best story possible. The frame of the NORDEN bike is constructed out of steel, rather than the typical aluminum frame we see on most bikes. Nielsen says that he was “never in doubt that the NORDEN retro models should have steel frames to ensure greater originality and authenticity.” The frame itself is visually appealing, perfectly balancing straight lines and curves. The retro influence is immediately recognizable in the frame, yet the overall feel of the NORDEN design is fresh and modern. The NORDEN bike comes in his and hers, plus a version for little Susie (which, of course, little Bobby could ride just as well! ), and all three versions, though slightly different, adhere to the NORDEN ideology. They are available in a variety of stunning color schemes, pairing retro hues with modern tones. 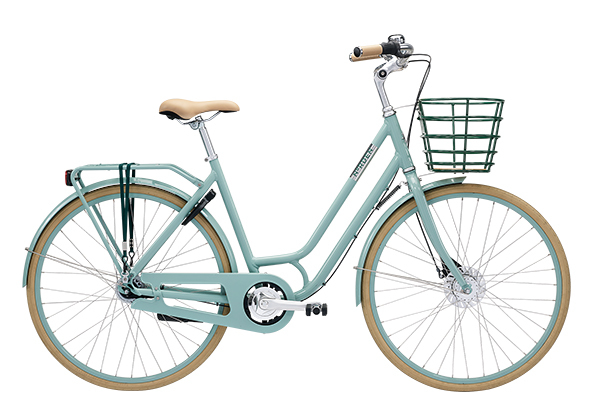 You can get yourself one with beautiful copper accents, or if you’re riding the mint wave, they’ve got that too. There’s even a hot little number in Pantone’s Color of the Year, Greenery. This unique approach to design does not stop at the bikes. The website, the POS, and the catalogue are all thoughtfully designed to provide a cohesive aesthetic and design experience. Head designer Bjarke Schmit Nielsen says that he was involved in all aspects of the process, and worked alongside each department to maintain the NORDEN aesthetic throughout. They are constantly evolving and reimagining at NORDEN, and are currently working on their 2018 models. Visit www.nordenbikes.dk to see all the styles and color ways for yourself.